Shakira Isabel Mebarak Ripoll (born February 2, 1977) is a Colombian singer, songwriter, dancer, record producer, choreographer, and model. Born and raised in Barranquilla, she began performing in school, demonstrating Latin, Arabic, and rock and roll influences and belly dancing abilities. 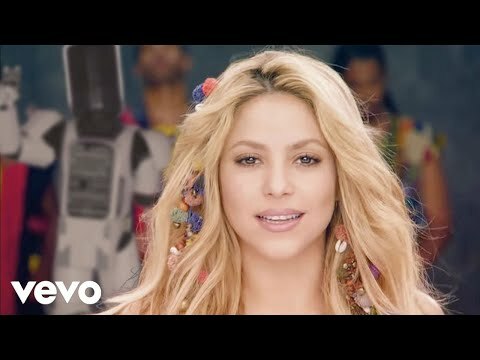 Shakira released her first studio albums, Magia and Peligro, in the early 1990s, failing to attain commercial success; however, she rose to prominence in Latin America with her major-label debut, Pies Descalzos (1996), and her fourth album, Dónde Están los Ladrones? (1998). Shakira entered the English-language market with her fifth album, Laundry Service. Its lead single, "Whenever, Wherever", became the best-selling single of 2002. Her success was solidified with her sixth and seventh albums Fijación Oral, Vol. 1 and Oral Fixation, Vol. 2 (2005), the latter of which spawned the best-selling song of the 21st century, "Hips Don't Lie". Shakira's eighth and ninth albums, She Wolf (2009) and Sale el Sol (2010), received critical praise but suffered from limited promotion due to her strained relationship with label Epic Records. 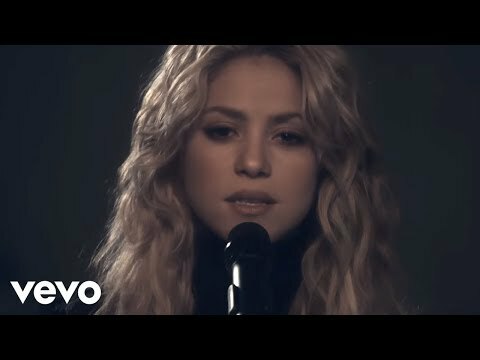 Her official song for the 2010 FIFA World Cup, "Waka Waka (This Time for Africa)", became the biggest-selling World Cup song of all time. With over 950 million views, it's one of the most-watched music videos on YouTube. Since 2013, Shakira has served as a coach on the American version of The Voice, having appeared in two of its seven seasons—fourth and sixth. Her tenth album, Shakira (2014), is preceded by its lead single, "Can't Remember to Forget You". Shakira has won many awards, including five MTV Video Music Awards, two Grammy Awards, eight Latin Grammy Awards, seven Billboard Music Awards, 28 Billboard Latin Music Awards and has been Golden Globe-nominated. She has a star on the Hollywood Walk of Fame, and sold between 70 and 125 million records worldwide (depending to the source), making her one of the best selling Latin artist of all time. She carries out well-known philanthropic activities through charity work and benefit concerts, notably her Pies Descalzos Foundation, her performance at the "Clinton Global Initiative" created by former U.S. President Bill Clinton, and her invitation to the Oval Office by President Barack Obama in February 2010 to discuss early childhood development. In 2014, she was listed as the 58th most powerful woman in the world by Forbes. In July 2014, Shakira became the first person to reach 100 million followers on Facebook.